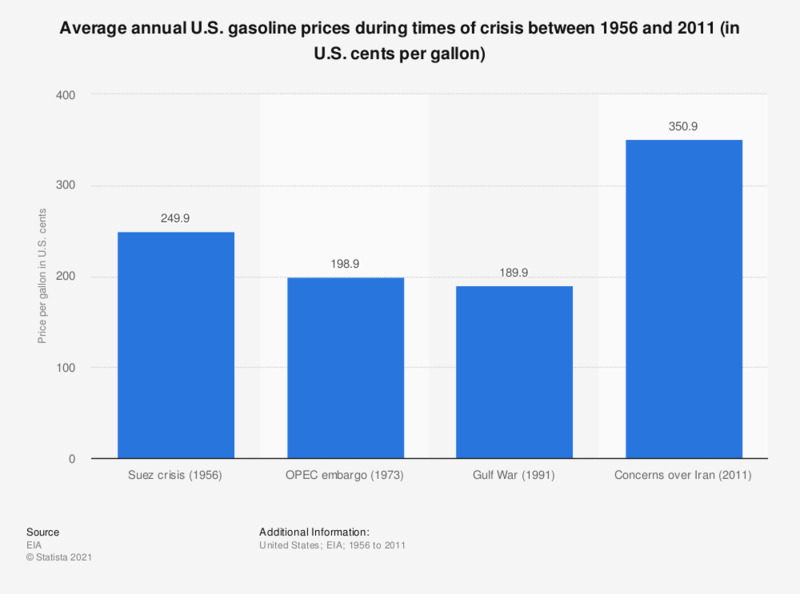 This statistic shows average annual U.S. gasoline prices in selected times of crisis between 1956 and 2011. In 1956, the year of the Suez crisis, the average annual gasoline price in the U.S. stood at 249.9 U.S. cents per gallon. All prices are 2012 U.S. dollars.